I see TfL are going to remove the lovely old style Countdown web page from 1 June 2016 and force everyone to use their cumbersome, useless and inaccurate main website. Booooooooooooooooooooooooooooooo! I just got a message on the site when I switched from "My Stops" to look up another route. Just been looking at the TfL Digital Blog and comments from users about the move from old Countdown to overblown TfL website. Seems people are not impressed by the upcoming switch. Nice to know I am not alone in preferring the old style, simple, easy to load webpage. I tried to use the new functionality on my HTC mobile. It completely fails to work and it seems there is a problem with how the new Favourites functionality renders on HTC phones. TfL have less than a week to fix this or else part of the user base (HTC phone users) will lose access to the information. Great stuff eh? I haven't used the new site yet. I've been too scared to switch lol. I had a feeling it would cause irritating problems. Hopefully they get round to addressing them soon. Enjoy the last week of the old world. As you can tell I am not impressed with the new page and I think TfL have under estimated what they should be doing to give people what they actually want rather than what TfL think they should have. I noticed the 'Show stops near me' function stopped working a couple of weeks ago on the original site. I thought the website couldn't find my location but the location settings are all fine. I manually updated my phone to the latest version of Android, so I thought it had something to do with that but now I'm not so sure. As anyone else suffered the same problem? I was looking at a route in NW London last night and clicked "show stops near me" and only some showed up. A load didn't. TfL moved the site to a temporary server and this has resulted in me losing all my stored "My Stops" and having to re-enter them. I suspect they've also cocked up the mapping functionality in making the change. As Dr Evil at TfL prepares to exterminate the old style of Countdown page here is a little screenshot reminder of what it looked like. You aren't the only one. There are umpteen negative comments on the TfL Digital Blog. Several people using simple mobile phones have lost the service entirely because the site doesn't work. I've also seen a couple of moans on Twitter (alongside my own). The new site is bl***y horrible and cumbersome. TfL IM have effectively said in their responses on the Blog that they are considering providing a "lighter" page based version which is more accessible. Someone seriously needs to question why the heck we have ended up with this ridiculous mess with TfL effectively having to design a new version of what was there before. How do they get things so wrong? Why didn't they ask anyone what they wanted? Why didn't they simply start with the old page design and just update that to whatever underlying platform they now use? They removed functionality and flexibility with no understanding as to how people used the old site and what value people placed on the respective features. That's borderline incompetence when it comes to website design that is for a major public sector organisation. I'm wondering what motivated the team to attempt to give the web app an upgrade. I think they did do a survey a while back (can't remember exactly) so perhaps the responses from this gave them reason to do so. But even the survey wasn't that long ago if I'm correct. It seems like they haven't performed any Alpha testing whatsoever, and generally seems rushed. I'll admit, it looks as if it has some potential. It's more dynamic, which I like. But having certain sections (or dividers) of the web page load before others makes it seem unorganised somewhat. The only reason I use the web page is to get the bus stop code to use on LVF. But I honestly think I'm better off just using a downloadable native app, like the London Bus Hunter (still in working progress). Just having a look at the TfL Countdown page for stops near the Crooked Billet E17. Seems that TfL in their infinite wisdom have abolished route 97. It is not recognised by the webpage search facility and does not show in the route listing for any stop it serves. Obviously the route is still running and shows up in LVF but not if you rely on TfL's own data. EDIT - has been referred for a fix after I tweeted about it. I see TfL has fine tuned the way in which bus info is presented if you bring a web page for an individual stop. Previously there was always a location map shown which took up half the page and then the bus departure info was shown. Now the map is not displayed - there is a button to press to make it appear. This means departure info appears more quickly (fewer graphics) and much nearer the top of the page. I assume TfL have done this to try to improve responsiveness of the website as previously trying to get the relevant stop pages to load could be rather slow and heavy on the CPU. 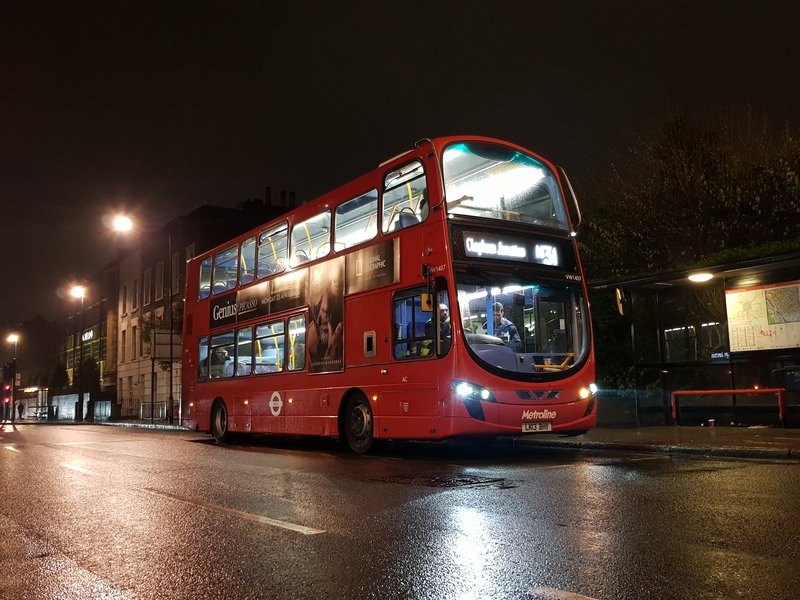 TfL have provided an update on their digital blog about changes to the Live Bus Departure web functionality. At least the work hasn't been cancelled which is what I thought might happen. Oh oh - twitter session tomorrow about TfL's web info for buses!! Starts drafting 3,567 Tweets on the subject. 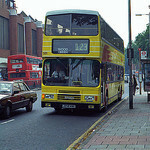 Nice to see that TfL's "bus times" page completely fails to recognise routes 48 and 397. New schedule clearly means "does not compute" so far as TfL's system is concerned. Thank goodness LVF is working.